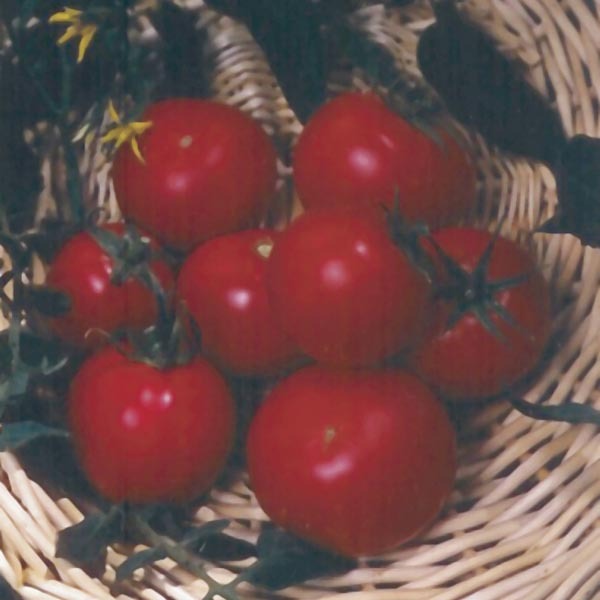 One of the very best bush-type tomatoes for growing in containers or small-space gardens. The dense, compact plants produce an abundance of medium-sized fruit perfect for slicing. The plants are quite sturdy but would benefit from a cage or staking for added support before the fruits add weight to the plants.